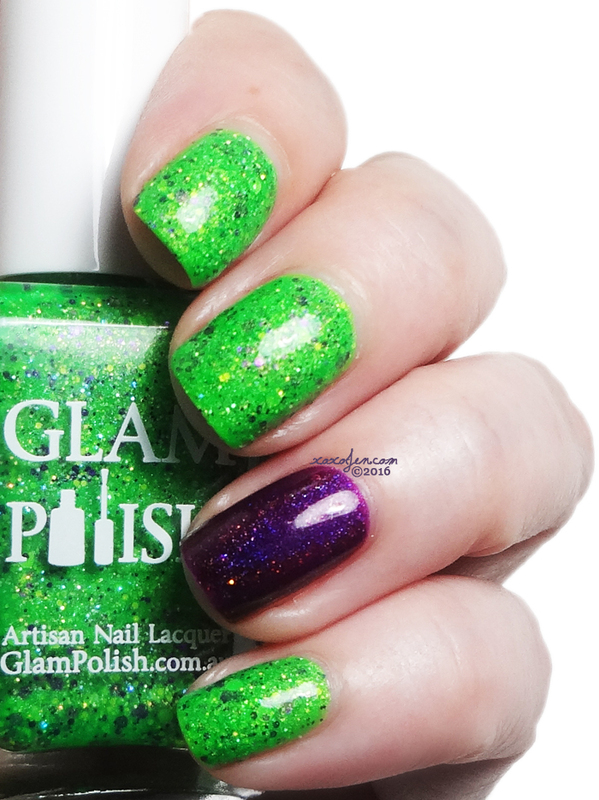 I absolutely love the bright greens and glitters that Glam Polish makes and when I saw this one with purple glitter mixed in, I had to have it! 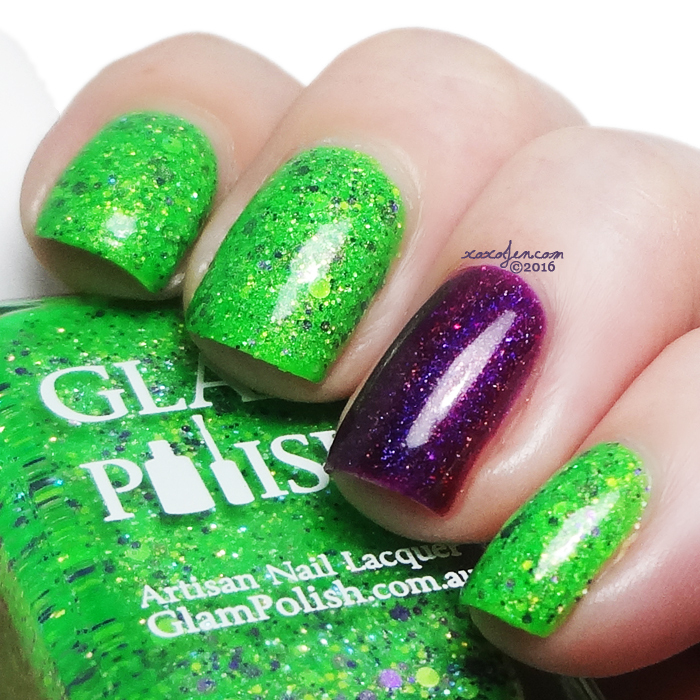 The formula is fantastic for glitter polish, it applied so easily. I didn't have to double dip the brush or do any of that glitter fishing madness that often occurs with glitter polishes. The accent nail is a purple holo called Blackberry Wine from Nvr Enuff, it's worn here with two coats and topcoat. I wore two coats to reach opacity and to insure even application. 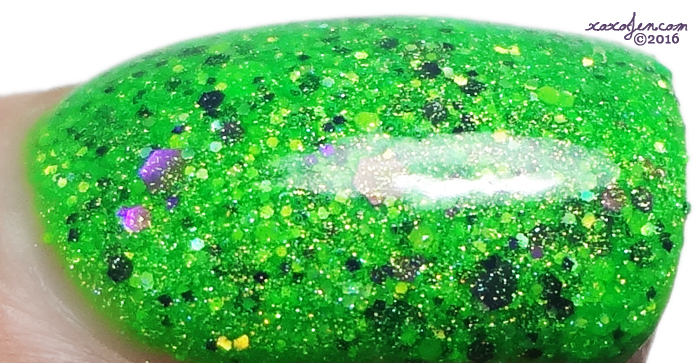 I topped it with Gelous and Clearly on Top from KBShimmer. 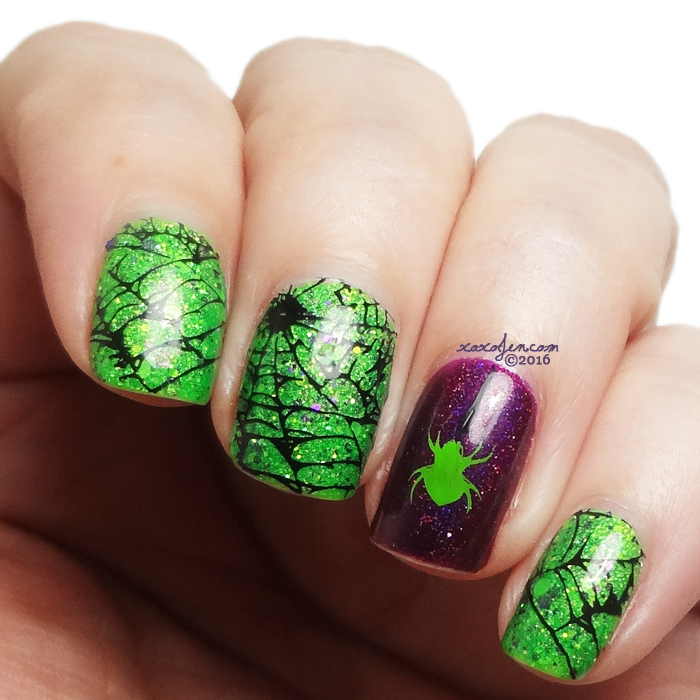 The mani was screaming for some Halloween nail art, so I did them up with spiders and webs! 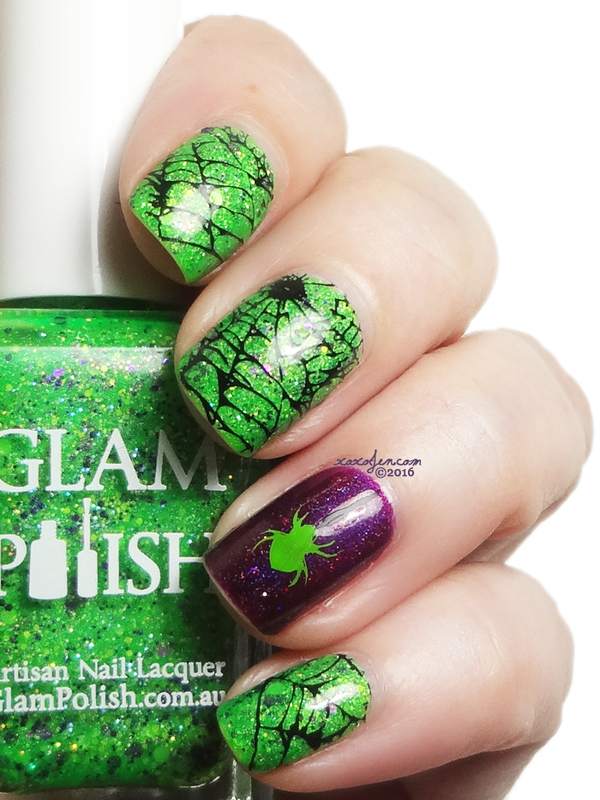 I used a spider from Bundle Monster 13 and webs from Vivid Lacquer 013. I used MDU black and avocado for stamping. I hope you've enjoyed the mani and nail art and I wish you all a happy and safe Halloween! That green is so vibrant! Looks great in this nail art design too.